The ADB has published 8 points of information about the much-delayed and largely opaque Expanded Income Restoration Program (EIRP) for households at railways relocation sites. The program, funded by the AusAID, is based on the principle of getting the relocated households to help themselves through joining savings groups. It is administered by the little known groups SBK and Envisioning, selected by the government, whose initial income restoration plans were deemed unsuccessful and prompted the Australians to grant an addition US$960,000 for income-restoration under the railways project. Households who join savings groups (joining is compulsory for accessing any benefits) get access to loans of US$450 from a Community Development Fund, and US$250 as a grant from the Social Safety Net Fund. Given that the ADB estimates the number of households at relocation sites being 1,105, this means that around US$773,500 of the funds granted by AusAID will likely go affected households, with the ADB, SBK, and Envisioning presumably pocketing the rest. 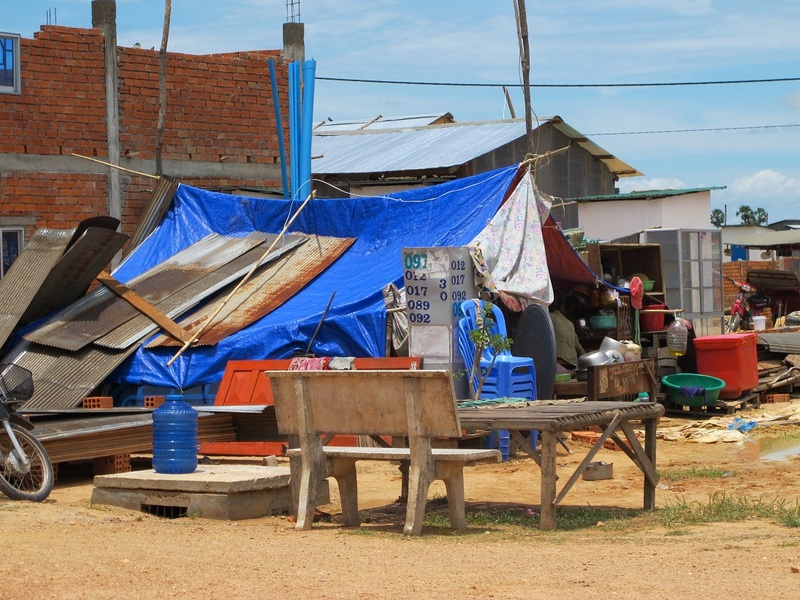 Many relocated families have complained about the lack of jobs and other income-generating opportunities at the relocation sites, with many households particularly in Phnom Penh wondering how they are meant to save on a regular basis, when they are facing high debt levels as a result of inadequate compensation and lack of employment opportunities following relocation under the project. To read the 8 point published by the ADB, click here. The Asian Development Bank has responded to a petition filed by Phnom Penh evictees of the national railway rehabilitation project, a bank spokesperson said yesterday. ADB operations coordinator Mao Ouk said the bank had raised the issues, which include infrastructure concerns and help with their livelihoods, with the Inter-ministerial Resettlement Committee and that the government was in the process of implementing an “expanded income restoration programme” that involved self-help groups and community credit schemes. But villager representative Ros Bopha said that a letter received from the ADB on April 12 provided the “opposite” of what they were asking. Some 160 families were relocated from Russey Keo district to Por Senchey district’s Trapaing Anchang village on March 6. 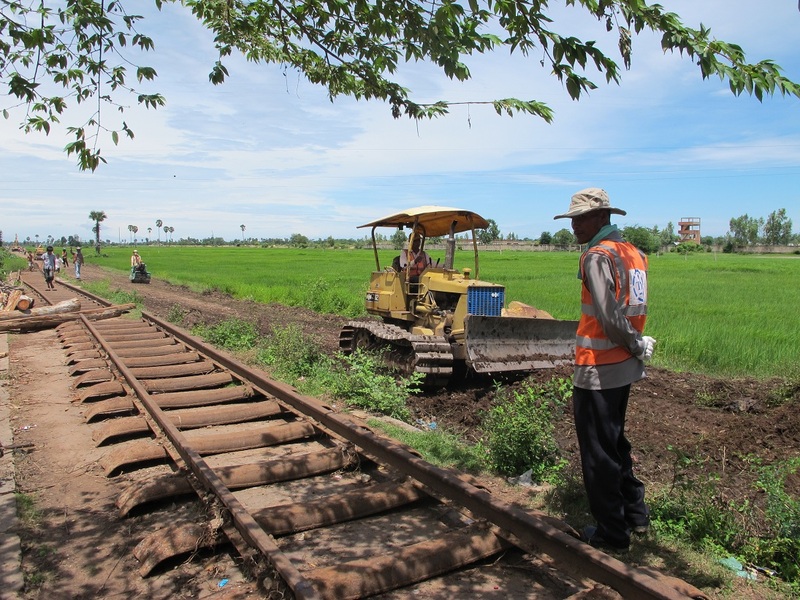 Radio Australia journalist Liam Cochrane visited a resettlement site, 25 kilometres out of the capital Phnom Penh, for a closer look at the relocation impacts of Cambodia’s railway project. You can listen to it here. 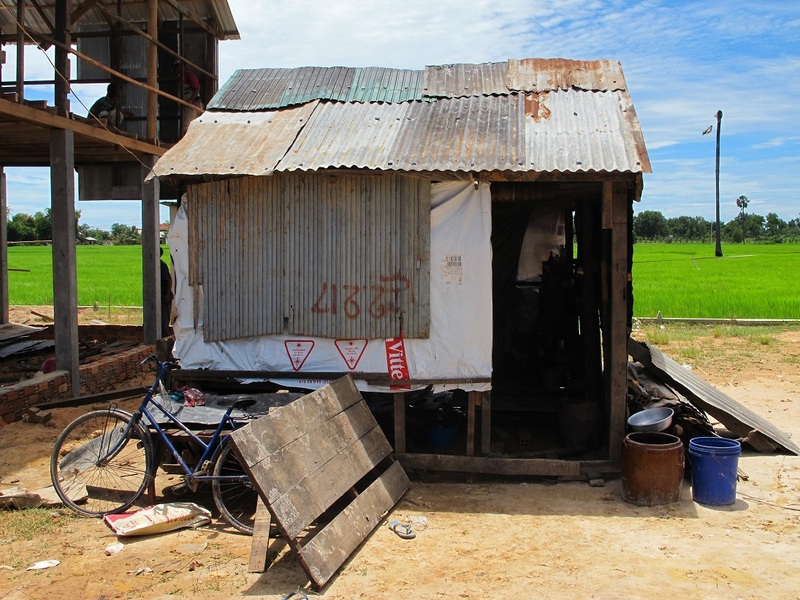 Phnom Penh relocation site: safeguards violations continue? Despite many complaints from affected households and following the silencing of NGOs monitoring the resettlement impacts of the railways rehabilitation, many Phnom Penh households have been given until the end of the month, in the middle of the rainy season as well as religious festival Pchum Ben, to move from their homes along the railway tracks. 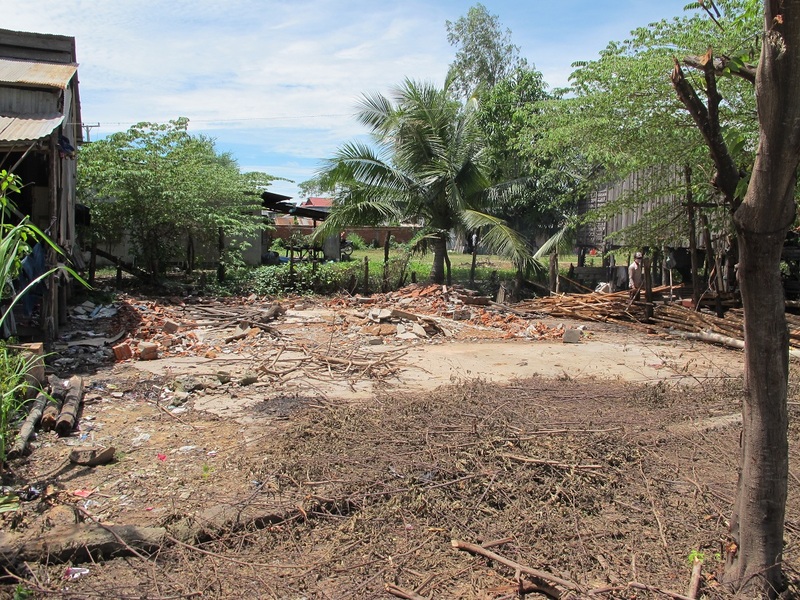 Like elsewhere in the country, the project’s relocation of the Phnom Penh families seems rife with problems and potential safeguards violations. 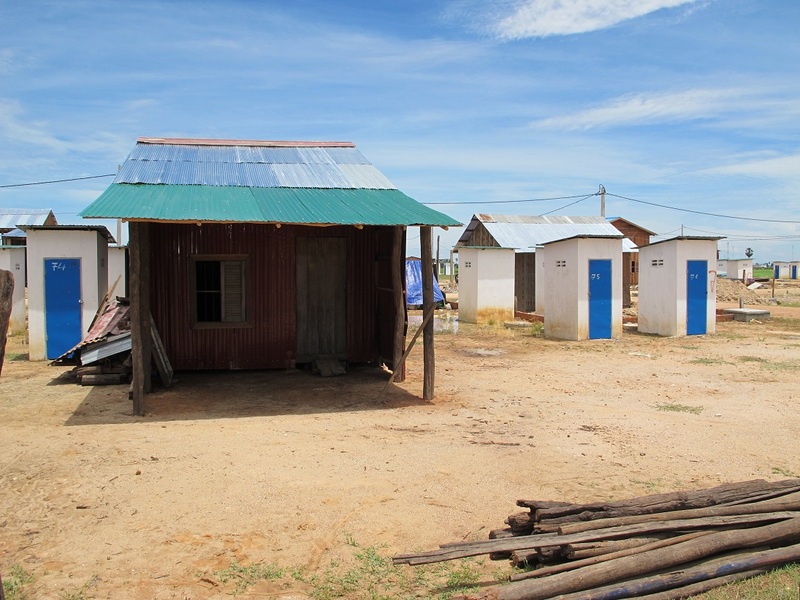 The relocation site, Trapeang Anchangh, is for some of the families around 30km from their former homes. 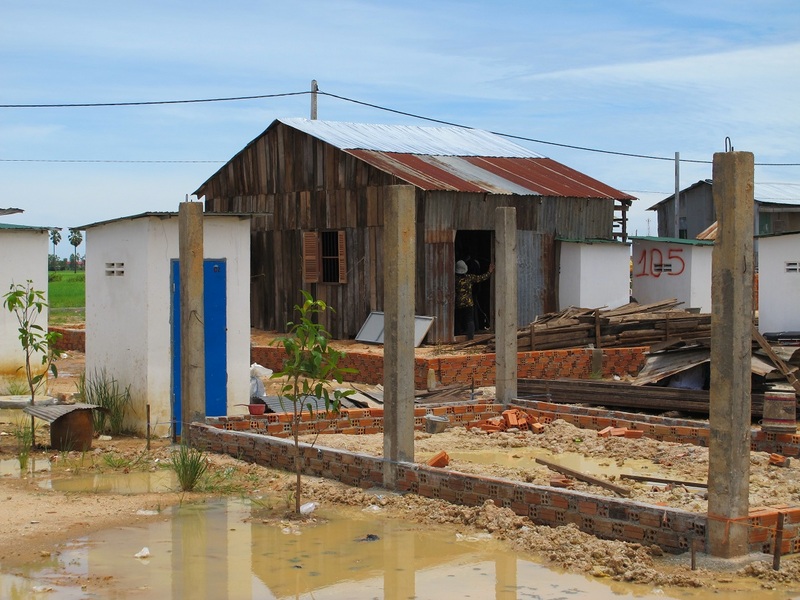 Many have received less than US$1,000 to relocate to the new site, which exemplifies complete lack of creative planning in the lay-out of the plots for the almost 200 households expected there. 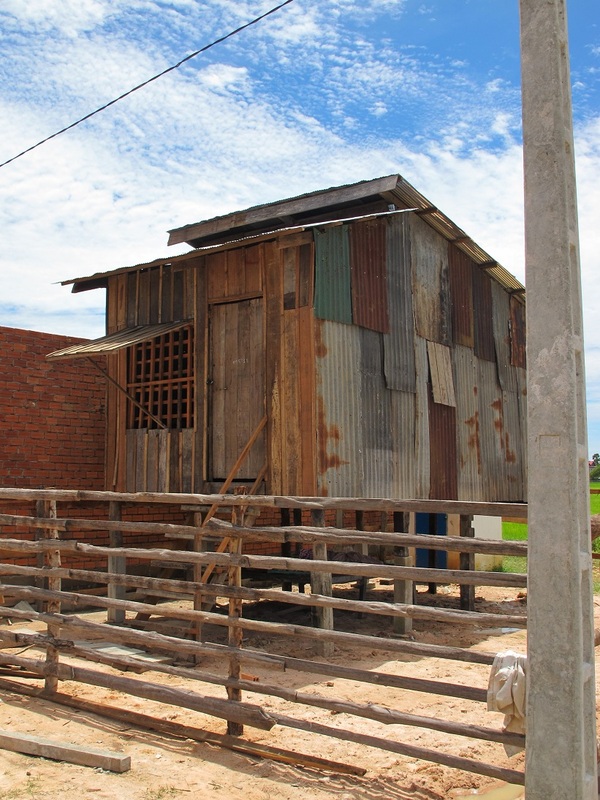 Don’t expect trees for shelter either – the site is next to another relocated community in the middle of rice fields, though relatively close to a posh golf course highlighting the growing difference between the rich and the poor in Cambodia. While piped and drinkable water is communally available, those already resident at the site report they are required to pay around 150,000 riels for water connection to their new homes, and a similar amount for electricity connection. According to the ADB, relocated households should be exempt these costs, yet affected households around the country report similarly. Around one quarter of the plots are currently occupied and/or show signs of ongoing building work. Some dwellings look as though they have been rebuilt by the occupants exactly the way they were in their old location, while other families have taken out loans to build stronger brick structures. 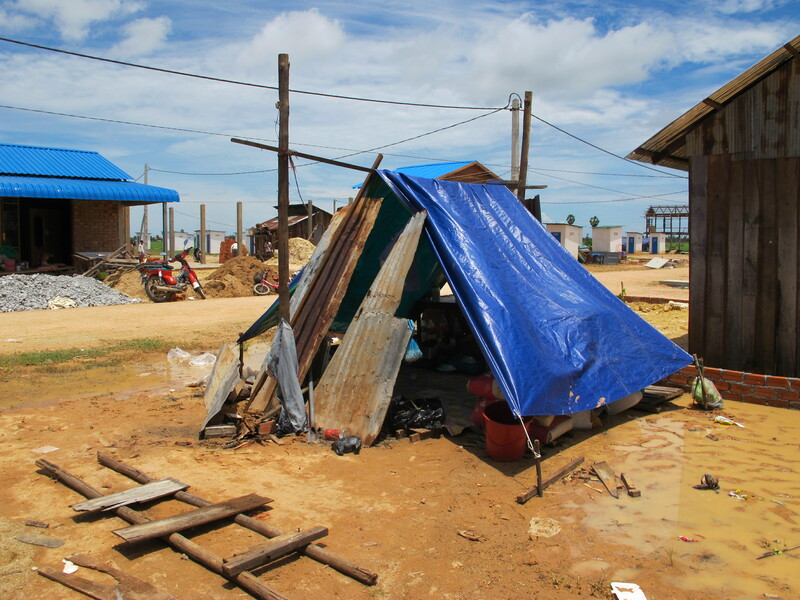 Some families live in extremely basic tarpaulin tents, which they say flood each time it rains. The drainage does not appear to be working, and residents say they are having to spend a lot of money lifting the ground before building their new homes on it. Most are worried about their income. Many are former city dwellers used to making their money from the hustle and bustle of the capital. Here, in the middle of rice fields, there is nothing. (Perhaps they might be able to get jobs at the gold course?) The Income Restoration Programme – also part of the ADB-approved resettlement plan – is nowhere to be seen.